Hardwork, Good luck on day of exam. Dr.Nikhil Bhasin: They were the pillars of success, especially my Parents who have supported me in whatever I do. Dr.Nikhil Bhasin: I always wanted to take up medicine. Dr.Nikhil Bhasin: Manytimes But somewhere I believed I can do it. Dr.Nikhil Bhasin: Medicine-Harrison, Patho-Robbins, Biochem-Lipincott, Pharmac-KDT, Physio-Ganong. Dr.Nikhil Bhasin: Micro, PSM, Paeds, volumes- MK, AA. Dr.Nikhil Bhasin: Yes I cleared lot of my concepts after attending the class. Dr.Nikhil Bhasin: Extensive study in UG. Concentrated on my strength during internship year. Dr.Nikhil Bhasin: Yes, we definitely should have multiple exams. We cant decide our chances, based on exam. Dr.Nikhil Bhasin: Pharmac, Patho, Micro, PSM, Paeds, Surgery. Dr.Nikhil Bhasin: As negative markings were almost nil, attempted all markings. 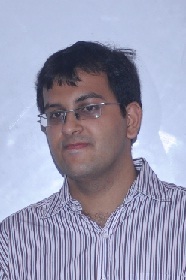 Dr.Nikhil Bhasin: Want to specialise in Medicine. Dr.Nikhil Bhasin: Dr.Sumer Sir (Radio), Physio Mam, Pharma Sir, ENT Sir, Opthal Mam.